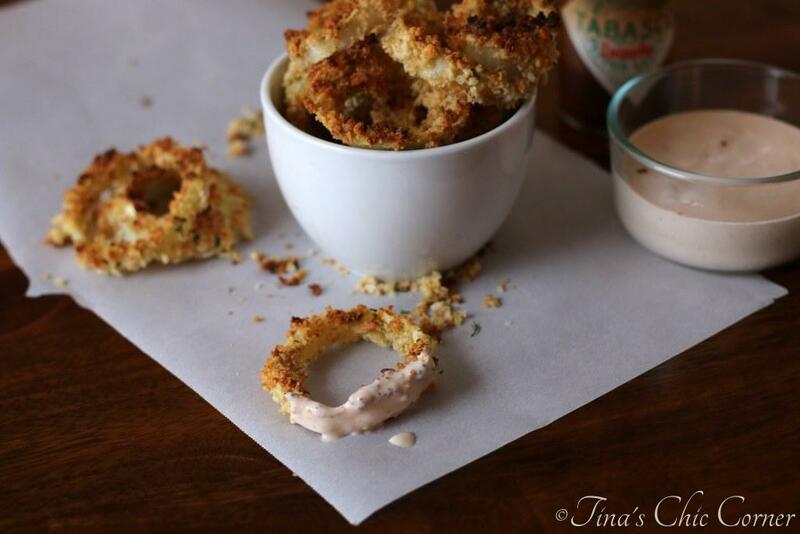 These onion rings are the tastiest and crispiest baked onion rings that I’ve ever had and they go perfect with a chipotle ranch dip. In a large skillet, heat the oil on Medium heat. Add the panko bread crumbs. Season them with salt and pepper. Toast the crumbs until they are golden brown, stirring constantly. In bowl #1, whisk together the flour, garlic powder, and cayenne pepper. In bowl #2, whisk together the eggs, water, mustard, and thyme. Cover each onion ring in the flour mixture (in bowl #1). Then dip each onion ring in the egg mixture (in bowl #2). Finally coat each onion ring in the panko crumbs (in bowl #3). Transfer the onion rings to the prepared wire rack. 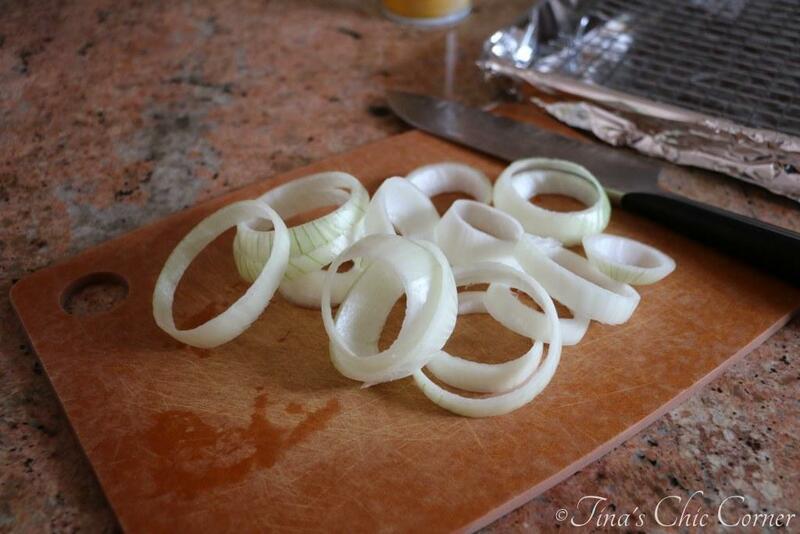 Spray the onion rings with cooking spray and cook them for about 12 minutes or until they are browned. Mix together the ranch dressing and chipotle pepper sauce. The onion rings are best served the day they are made, and in fact they are the best immediately out of the oven. My sister did quite a lot of the steps while I was offering guidance and supervising. Wahoo free labor! I like to think of it as delegation. She volunteered and I wasn’t about to say no. She’s not in the kitchen nearly as much as I am, which is a nice way of saying that she doesn’t really cook (yet?). That means if she can make these then anyone can. 😉 I cut the onions and recommend that they be at least a half inch thick. If you cut them thinner than that they end up a bit flimsy. The wire wrack is super important for this recipe. Not only are onions fragile (so peeling them off the pan would likely destroy them) but the gap under them allows them to be cooked by the hot air in the oven instead of the direct heat of the hot pan below. 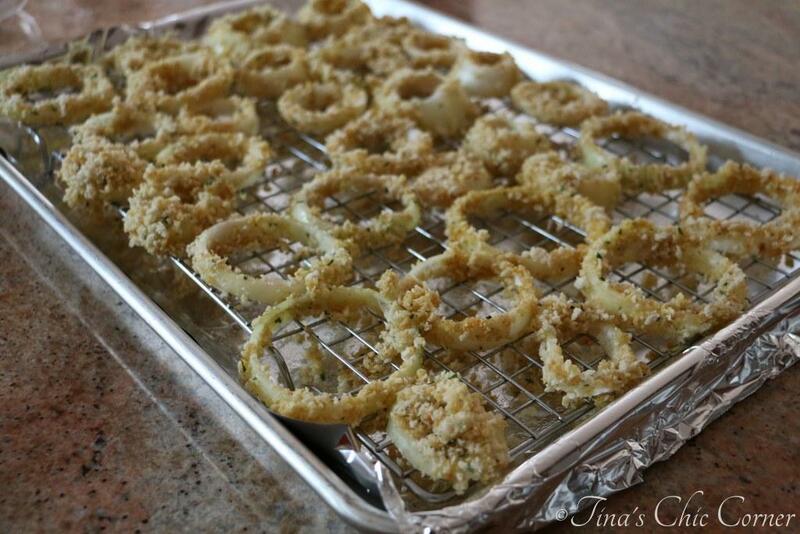 This helps to dry them out and leaves you with a crispy-licious onion ring instead of a mush of soggy onion. These aren’t fried! The good news is that these onion rings are healthier than the kind you might get at a fast food restaurant. The bad news is that they don’t taste like fried onion rings. Well, I suppose it’s only “bad news” if you like greasy food. Don’t get me wrong, I love the occasional greasy fair food once a year, but I needed a real alternative for the rest of the 364 days a year. That’s where these bad boys come into play. If you are familiar with my blog then you might recognize most of the ingredients and directions from my Crispy Baked Chicken Fingers. They were a huge hit and the tasty coating from that recipe gave me lots of ideas. What else could I bake using the same process instead of frying? One of the first thoughts I had was onion rings. My sister’s comfort food craving cinched it and these were the result. Panko bread crumbs are bigger than regular bread crumbs and that’s why they are key to the crunch factor here. These look different and even taste different than factory produced beer battered onion rings, but they are fantastic eats. They are super crunchy on the outside and soft on the inside. This chipotle ranch dip was my husband’s creation. Somewhere along the way he mixed the two ingredients together and it’s become more popular than BBQ sauce or ketchup in our house. As you can probably tell from the two ingredients, it is really just a delicious spicy ranch dip. Feel free to add more chipotle sauce if you like it extra spicy. Since this dip is something that we quickly whip when we want it, we use pre-made ranch dressing from the store. If you’re feeling ambitious and you can find an awesome homemade ranch dressing recipe then by all means go to town! Here are some other tasty snacks or side dishes. I love baked onion rings and with that Chipotle ranch dip? Perfection! Awesome! Thanks so much. 🙂 I appreciate you stopping by! Man, those crispy onion rings are killing me! And that sauce is genius. I can’t believe how easy it is! You nailed the flavors and textures in this recipe! Pinned! Awesome! So glad you like. 🙂 Thanks for pinning! Now that’s my kind of snack! These look so crispy and crunchy! Oh my gosh, I completely agree! As long as I get them crunchy from the oven like I did here, then I never see a need for a fryer. Yum! These look so tasty–I love that they are not fried too. 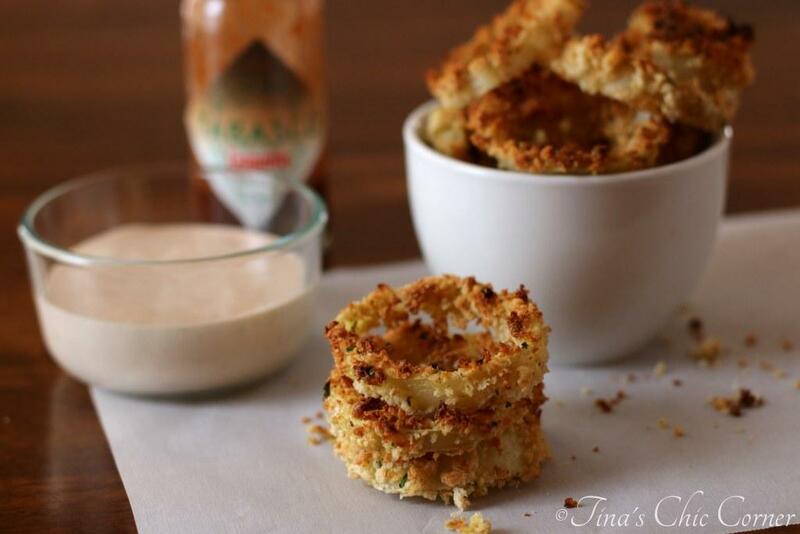 Great idea to add a little zip to the ranch with Tabasco..
Do you ever use stumble upon? I am ready for the non-fried challenge! These look amazing and love that zippy chipotle sauce on the side. Panko bread crumbs are my favorite for keeping things crisp also thanks for the hint on baking them on a rack. Onion rings are my favorite guilty pleasure food! I love that you baked them! And the dipping sauce you made for them sounds fabulous. Spicy delicious. 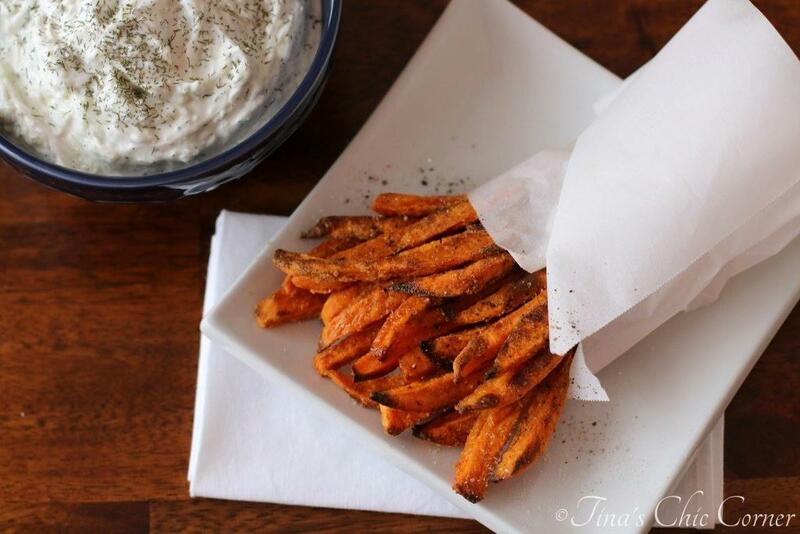 Holy cow, Tina, these look amazing! Onion rings are one of my favorite snacks…but I try to avoid them b/c they’re fried. Pinning so I can come back and try these out!! Oh, yum! My tummy is seriously grumbling … I want these NOW!!! 😀 You know I’m all about healthifying foods, and this is a stellar example of taking something naughty and pretty much nutritionally defunct and turning it into a wonderfully delicious yet much healthier treat! Love it!!! I love how crispy these look!! The dipping sauce sounds delicious! 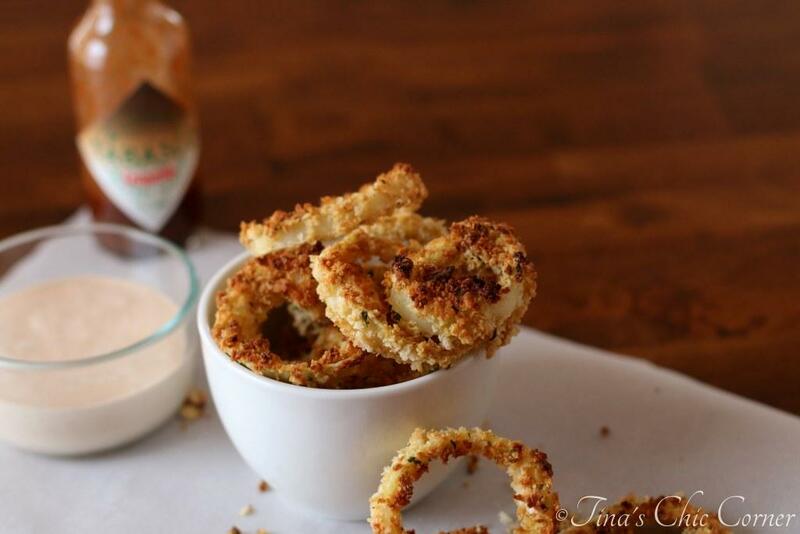 My husband is big on onion rings – he’ll love these…. Tina, sounds like you and your sis had a great time! Funny thing is, I used to peep out the onion and just eat the crispy parts. But, now I’m addicted to the whole onion adventure. 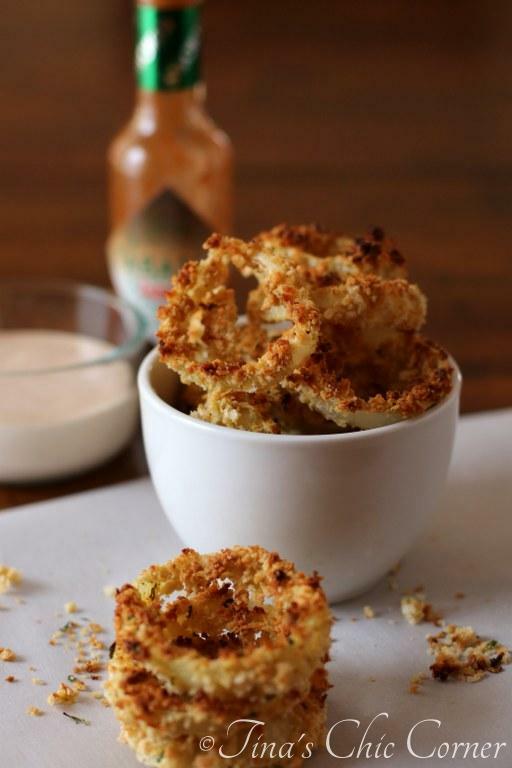 I’m all about this recipe with the panko crumbs… and the sauce! I love onion rings! It is awesome that you made them healthy so they don’t have to be a once in awhile treat! What a delicious snack, it sounds so addicting!!!! Especially with the dip!!! 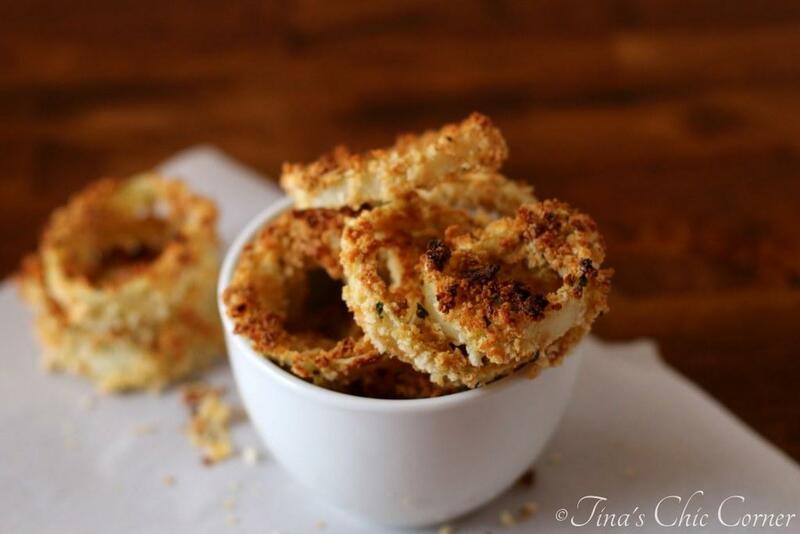 I adore this healthier twist on onion rings. They look just as delish (if not more) than the real deal! And the ranch dip souns heavenly too!